Rib, Parm, and braised beef specials are what most people come to Blue Collar for, but dig a little deeper and find something only true vegans and vegetarians can appreciate it: a veggie chalkboard with more than 20 different $6 varieties. There’s sautéed kale, roasted artichoke hearts, sweet potato plantain mash, and even veggie fried rice. As your friends nosh on a brisket and steak, order a veggie plate which blends four dishes of your choosing, making it a colorful and flavorful meal for one. Vegan Francophiles, look no further. Eden in Eden is Miami’s first vegetarian-inspired French brasserie. If that’s not enough to inspire you to trek to this local spot, imagine a vegetarian croque-monsieur. Swap slices of ham and cheese for thick cuts of veggie pork, tomatoes, olives, and soy-cheese goodness. The restaurant manages to tastefully create a bevy of French staples without butter, cheese, and eggs. Don’t worry, texture and flavor aren’t compromised in the process. Don’t let the name turn you off -- DIRT is probably the cleanest place you can eat in the 305. Watch fast, farm-to-counter food come alive in the form of curried cauliflower bowls, harissa hummus wraps, and almond butter and jam toasts. Menus change seasonally, using only organic and mostly local ingredients. Vegan and vegetarian-specific menus are available, making a meal at DIRT tasty and ridiculously easy. The word “Manna” refers to food from heaven. At Downtown’s Manna Life Food, heaven is nature, and its food is the result of nutrient-dense, organic produce and ingredients, which together create a type of body-fuel that puts your all-time favorite junk food to shame. On the menu find life bowls, where you can literally “eat the rainbow” with everything from coconut brown rice to acai pickles; superfood arepas with avocado, hemp hearts, and three-bean salad; and a bevy of raw treats like protein bliss balls and ice cream made with banana and maca fudge. Let’s just say if you’re not vegan, you probably will be after this meal. There’s a good chance that a bite or two of a Della bowl might result in an obnoxious smile and that weird inner-feeling of excitement you thought only your dog could give you. Needless to say, they’re not called “healthy bowls of happy” for nothing. Each Della bowl is customizable, with every ingredient a veggie-lover might fancy. There’s lentils, tofu, and chickpeas for protein, along with marinated kale, crispy broccoli and a handful of sweet and savory sauces like spicy almond pepper, ginger tamari garlic and sweet citrus tahini waiting to be drizzled on top. Give it a boost with some raw roots, avocado, or spicy sunflower seeds. Don’t lie, we know you’re already smiling. Inside the indie record store, find Miami’s first and only fully vegan coffee shop. Grab a cup of locally-roasted Panther Coffee blended with vanilla almond milk or get a little crazy with an order of a vanilla iced rice baby made with toasted rice green tea or a unicorn love bomb topped with vegan marshmallows. There’s always a selection of vegan cookies, bars, and treats perfect to pair with a quick drink. Spend the afternoon or grab-and-go and maybe snag a few records while you’re at it too. 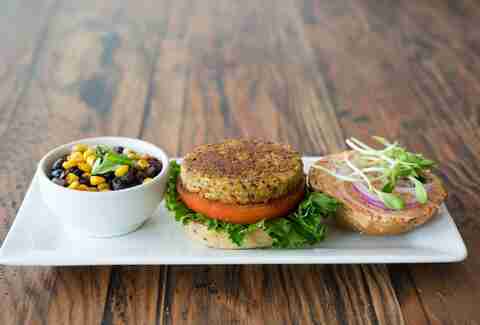 Miamians are lucky enough to have their own home-grown brand of vegan chains. If you’re around Brickell, Coconut Grove, Coral Gables, the Upper East Side, or the Miami Airport, smile because there’s a Choices Cafe near by. If you’ve never been, its name is a good way to describe its experience: a plethora of choice. There’s salads, bowls, meals under $10 and signature dishes like a sprouted tofu and black bean wrap or a chickpea tuna and sautéed onion rice bowl. Pro tip: end your meal with a maple bacon donut, where the bacon is courtesy of a tree instead of a pig. Vegans might have mastered the art of trendy juice bars and fast-casual spots, but Full Bloom wants to show vegan- and vegetarian-conscious diners that plates without meat and cheese can be gourmet too. The full-vegan menu offers dishes like cashew ricotta and spinach ravioli, and eggplant steak milanese. There’s a raw bar too, but it’s not the one you’re thinking of. It takes uncooked ingredients like zucchini, carrots. and cauliflower and transforms them into creations like carrot nut soup and cauliflower rice. With barbecue bottles lined throughout the Lost and Found Saloon’s interior, it’s safe to say this hole-in-the-wall restaurant is not what you’d envision for a clean vegan-friendly joint. Its décor is similar to something you’d find out of an old Western movie, with a menu featuring a hodgepodge of flavors -- think smoky barbecue, Mexican, and good ol’ southern comfort. But credit must be given where it’s due, and this neighborhood spot offers more vegan and vegetarian options than most. Pro tip: try the grilled tofu platter topped with crushed pine nuts, pumpkin seeds, sun dried tomatoes, and fresh herbs. Everyone has a sweet tooth, including vegans and vegetarians. Though a dairy-free diet makes it difficult to satisfy those sugary cravings, Bunnie Cakes makes it easy. As the only vegan bakery in Miami, the shop offers a bevy of cupcakes and cakes in varieties like banana chocolate chip, cinnamon sugar, cookie dough, and red velvet. They make cinnamon rolls, cheeseballs, and cheesecake in a jar too. If you thought going vegan would give you an excuse to say no to dessert, think again. But hey, we’re not complaining. 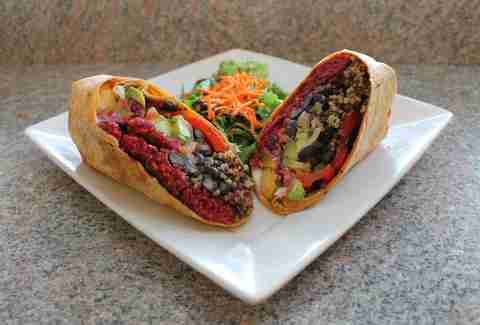 Vegan and vegetarian spots can come in gourmet chef-driven form too. Matthew Kenney’s plant-based restaurant brand has become an essential for diners hungry for more eccentric plates like kimchi dumplings or coconut ceviche tacos. The menu is inspired by South Florida’s warm climate and eclectic culture, so don’t be surprised to see innovative and slightly weird dishes like green gazpacho, green papaya, or a Caesar salad showered in sunflower seeds and sprouts. If you’re inspired, take a walk next door to Kenney’s culinary school where spreading the art of raw food attracts students and teachers from around the world. 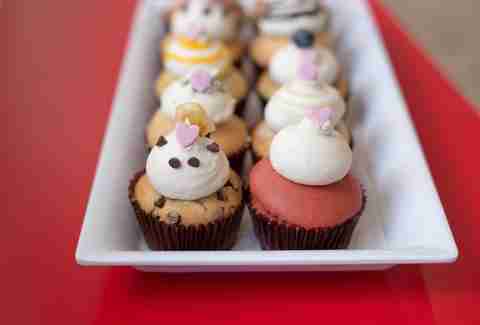 What started as a small cupcake shop has blossomed into an organic café with health, sustainability, and cruelty-free practices at the forefront of its mission. Owner Angela Prada-Moed wanted to bring nutrition to her neighborhood and through swapping sweets for vegan treats, she’s done just that. 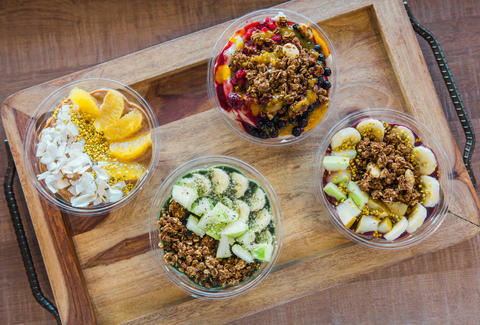 The menu features juices and boosters easily paired with fajita and quinoa bowls, super oatmeal, acai bowls, and salads, which are nearly all vegan friendly. The dual grocery and café in North Miami is the perfect compromise for vegans and their meat-and-dairy loving counterparts. The menu features dozens of sandwiches, salads, and hearty plates like pizza, burgers, and mixed Middle Eastern-inspired plates, many of which have a vegan supplement. 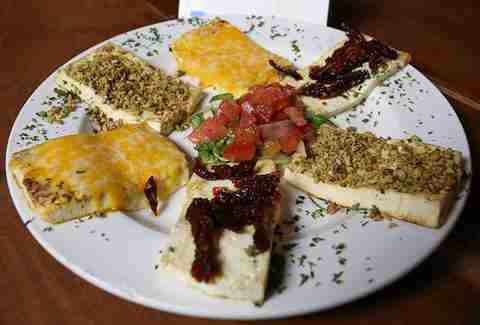 Think gooey cheese pizza with soy cheese or a veggie-patty burger. The restaurant is flexible too: dine outside on its patio, inside the market, or get a quick bite to go. Situated between tourist traps and nightclubs is a quiet, vegan-friendly eatery named Plant Theory. 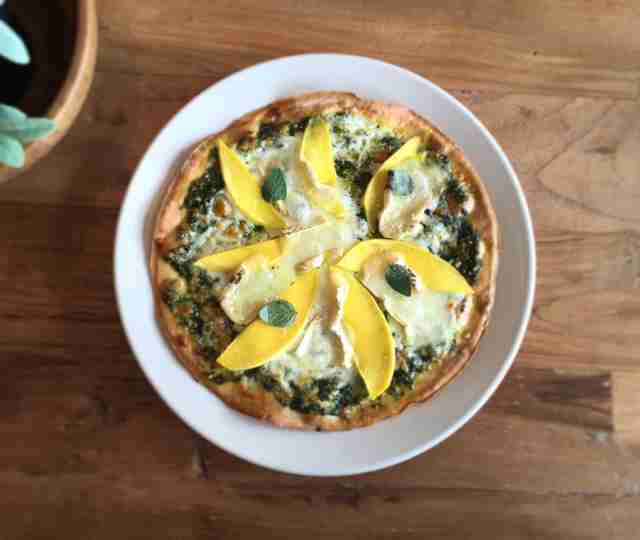 The name speaks for itself, as the restaurant uses 100% local and organic ingredients, with a focus on all things veggie for every dish. 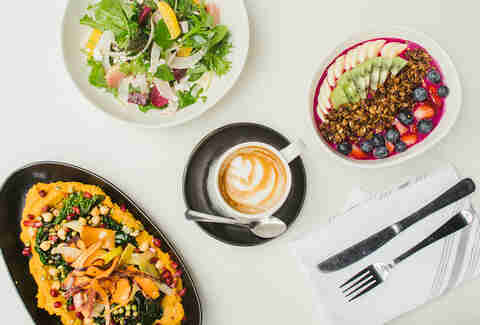 Besides traditional salads, sandwiches, wraps, and juices found in most vegan/vegetarian spots, Plant Theory offers a full-blown brunch menu too. Try a spinach or egg melt, topped with melted cheese and a side of coconut bacon; or opt for a fruity berry parfait, layered with fruit and granola. 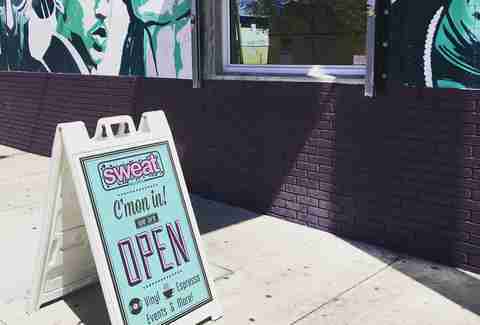 Though the name might sound like a spot you'd go somewhere in Colorado to GET the munchies, this Broward County vegetarian outpost serves up vegetarian takes that can oftentimes be better than their meat-based original. The fish taco with kimchee and dill ranch has all the greasy, savory goodness of the San Diego classic, without the fishy flavor. The burgers, mostly made with brown rice, quinoa, and chickpeas, are still smoky and hearty without making you feel guilty about raising your cholesterol 40%. And the pizzas? You'll barely notice they’re gluten-free. 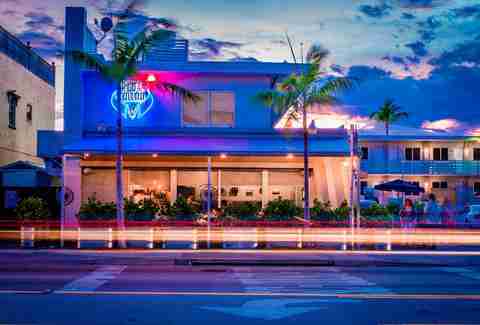 For some really out-there vegetarian creations, hit the Green Bar Express on Galt Ocean Drive, a spot chef Charles Grippo uses as a test kitchen for the main restaurant. The husband-and-wife team that opened Lilikoi recently relocated from Maui, and they've brought the fresh, laid-back feel of the island to the often-frenetic and crowded South Beach. Though the entire restaurant isn't vegetarian -- for the beautiful people of SoFi -- no place offers better vegan, vegetarian, and gluten-free fare. 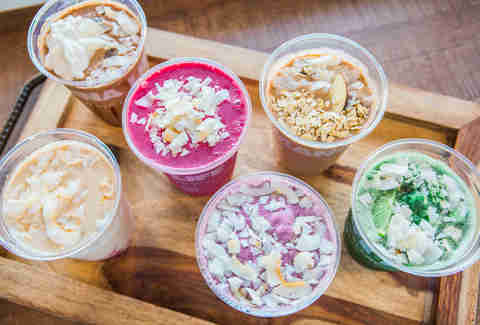 The collections of pressed juices and smoothies are the sort of fresh, healthy treat one would expect from such a location. But the real surprises come when you order stuff like the vegan burger made with garbanzos and topped with caramelized onions, or the falafel wrap, both fresh, spicy, and better than any similar sandwich in the area. 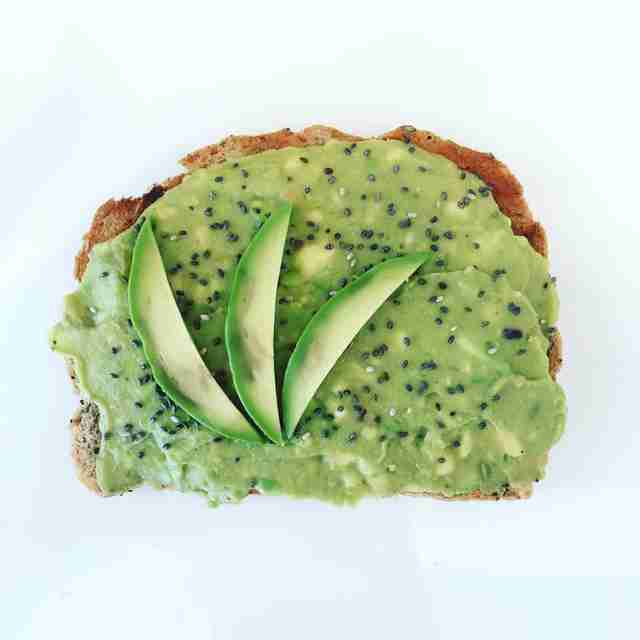 Clarissa Buch is a Thrillist contributor who shamelessly Instagrams all of her meals. Follow her foodie adventures on Instagram and Twitter.